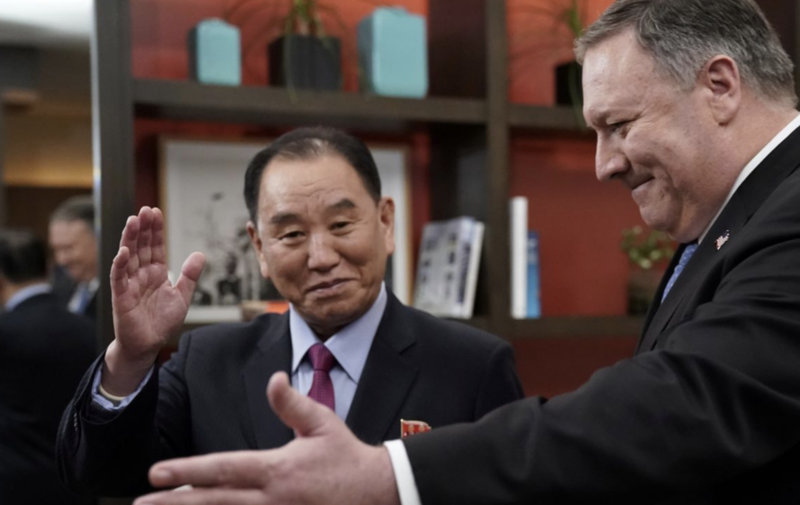 According to the Associated Press, Gen. Kim Yong Chol, the lead negotiator for North Korea and a former spy chief, met with Secretary of State Mike Pompeo Friday after previously scheduled talks between the two had been abruptly canceled in November. After meeting with Pompeo at a hotel in DuPont Circle – a meeting for which Stephen Biegun, the US special representative to NK, was also in attendance, Kim traveled to the White House to meet with Trump. A State Department spokesman said that Kim had a “good discussion” with Pompeo and Biegun. None of the parties responded to questions about the location of the summit, which will follow a historic Singapore summit between the two leaders that took place back in June. WH Press Secretary Sarah Sanders said Trump met with Kim for 90 mins to discuss denuclearization and the possibility of a second summit, and that Trump looks forward to meeting with the North Korean leader again.